Japanese machine tool manufacturer Makino Milling Machine reports a flying start to the new financial year after the record year 2017. Major investments are being made to increase production capacity and expand smart production and IoT technologies, the company states. At Makino’s press conference at AMB in Stuttgart, Germany, Dr P. Anders Ingemarsson, President and CEO of Makino Europe, made a report on the current state of the company. He reported a global consolidated turnover of Yen 181,548 million (+18.2% in a year-on-year comparison) for the 2017 financial year that ended on 31st March 2018. Although the Group suffered a decline in turnover of 7.5% in Japan, new record levels were achieved in all other regions through year-on-year increases (in JP¥) in the Americas of 13.6%, in Europe of 35.3% and in Asia (excluding Japan) of 40.5%. The group operating income rose to Yen 15,023 million (+55.5%) and group net income to Yen 11,694 million (+53.9%). Orders in Europe saw a significant increase owing to a substantial growth of the parts manufacturing and aerospace sectors, Makino announced. Favourable market conditions in Italy boosted order intake in all market segments. According to the company, the new financial year has started well, despite the subdued political climate with numerous uncertainties on the horizon. In particular, the aerospace sector brought good orders from various countries in Europe as well as in the US. The growing demand for machinery, including automation, is expected to continue in both parts manufacturing and die & mould. Makino is currently making significant investments in enhancing production capacities and infrastructure worldwide. 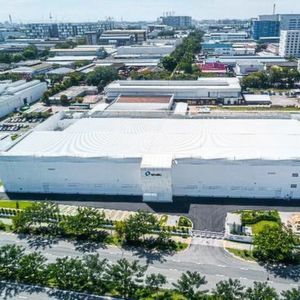 Early next year, an 8,100- squaremetre large, brand-new manufacturing facility for medium and large castings will be added to the production capacity in Singapore. Moreover, in Makino’s facility in Kunshan, China, a new production line will be opened towards the end of 2018 and, early next year, the construction of a new assembly line will start. “These investments are required to meet the rapidly increasing demand for machine tools and shorter delivery times,” Dr Ingemarsson explains. However, Makino is not only investing in production capacity but also in the worldwide sales network. Last year, Makino opened its first Sales Office in the Philippines. In August 2018, a Technology Centre in Chennai, India, commenced operations and this October, a Technology Centre will be inaugurated in Ho Chi Minh, Vietnam. These infrastructural measures underline Makino’s commitment to serving the global market in the die & mould, automotive, industrial components and aerospace industries as well as providing the accompanying sales, technology and service support. Makino also aims at making Industry 4.0 work well for the customer’s benefit. 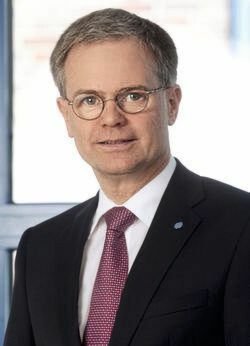 Despite the undisputable progress of Industry 4.0 applications, a manufacturing configuration is only enhanced through the core technology – and, as Makino states, that is the machine itself: “Its reliability is the key precondition for successful Industry 4.0 applications,” Dr Ingemarsson emphasises. Makino delivers state-of-the-art machine-embedded technologies that make its machining centres and erosion machines extremely reliable, while delivering stable accuracy and performance. The rigid bed casting with a three-point levelling system, for example, provides a solid foundation for sturdy performance. The innovative Z design table in an a500Z with reduced force-loop structure for minimised inertia and minimal overhand provides the most suitable solution for a reliably superior cutting performance. Makino’s Industrial Internet of Things (IIoT) provides the connectivity gateway necessary to connect, collect and analyse machine data. 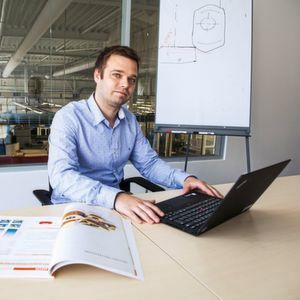 Pro-Net-Connex offers manufacturers a built-in, instant on-ramp to the IIoT, Makino states. 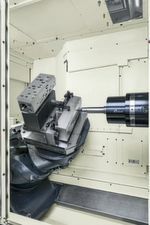 Makino machines are also now compatible with standard open communication protocols, such as MTconnect and OPC UA, for easier integration into the shop floor. 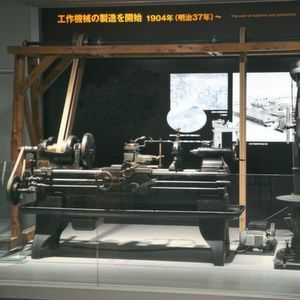 Additionally, Makino opened two specialised Internet of Things (IoT) remote service centres at Nagoya and Kobe with the aim of improving the overall equipment effectiveness (OEE) at customer facilities. “All these and many other embedded core technologies from Makino help to maximise machine reliability and thus give the end users clear competitive advantages in implementing Industry 4.0 applications,” Dr Ingemarsson concludes.